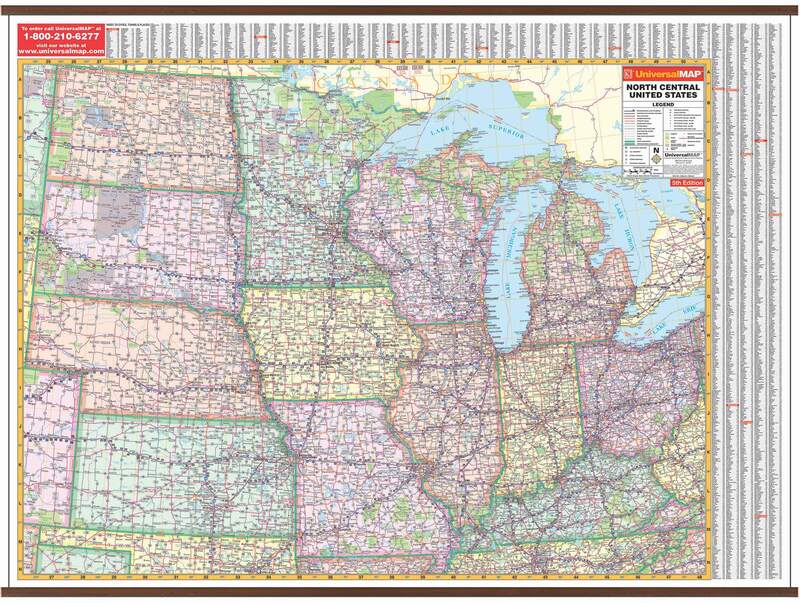 The 3rd Edition North Central United States Wall Map by Kappa Map Group shows all of the following states: Illinois, Indiana, Iowa, Kansas, Kentucky, Michigan, Minnesota, Missouri, Nebraska, North Dakota, Ohio, South Dakota, and Wisconsin. There is partial coverage of the following: Northern Tennessee, Northern Oklahoma, and Eastern Colorado. The boundaries are as follows: North: the Canadian border; South: to show the northern portion of Oklahoma, including the city of Tulsa; Texas; Arkansas; and Tennessee–including the cities of Nashville and Knoxville; East: to the western border of Pennsylvania; Beckley, WV; Brampton, CN; West: to include eastern border of Montana down to western border of Oklahoma. 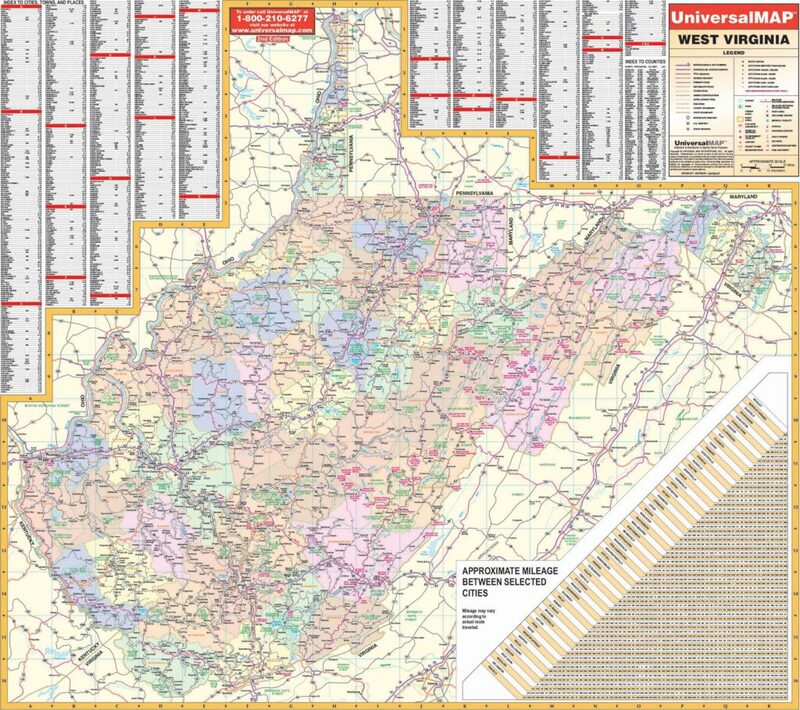 The special features and data are as follows: state highways, time zones, interstate highways, rivers and lakes, freeways, national forests, state lines, mountain ranges, longitude and latitude lines and cities and towns. 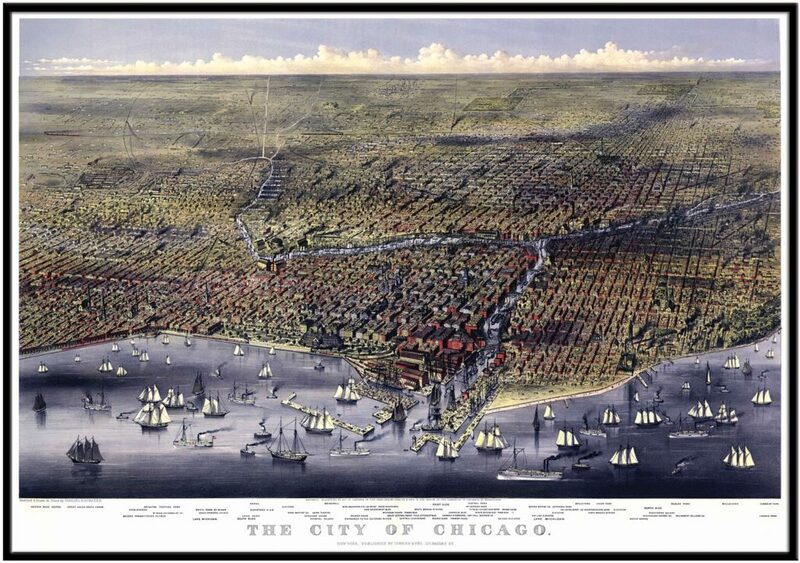 Protected with a laminate finish, which is both markable and washable. 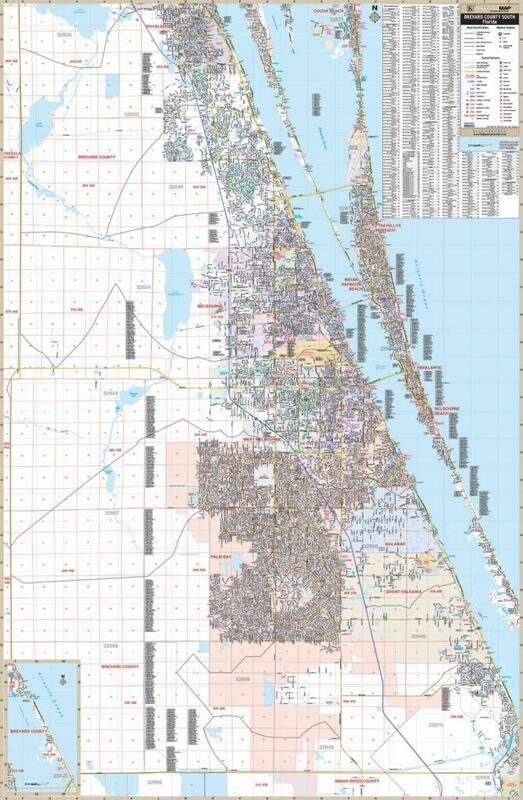 Measures 69″ W x 49″ H. In addition, for your convenience, indexing is located on the face of the face of the map.